Shinzo Abe and Vladimir Putin met in Moscow in an attempt to reach a resolution regarding the sovereignty of the Kuril islands that were awarded to Japan after the Russo-Japanese War but were seized by Russia toward the end of World War II. The decades-old dispute has prevented the two countries from concluding a peace treaty to formally end World War II. 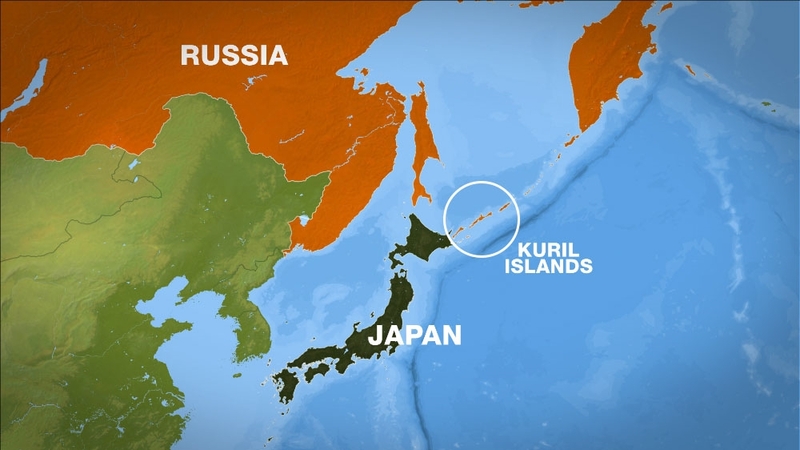 Called the Kurils by Russia and the Northern Territories by Japan, a string of volcanic islands are at the heart of a feud between the two countries that has prevented them signing a formal World War II peace treaty. Talks stalled for decades due to Japan‘s claim to the four strategic islands seized by the Soviet army in the final days of the war. Russia and Japan’s leaders meet for talks in Moscow on Tuesday over the disputed island chain. The disputed islands of Iturup (Etorofu in Japanese), Kunashir (Kunashiri), Shikotan and Habomai lie at their closest point just a few kilometres off the north coast of Hokkaido in Japan. They are the southernmost islands in a volcanic chain that separates the Sea of Okhotsk and the Pacific Ocean. They are located to the southeast of the Russian island of Sakhalin and are administratively part of the same region, although Tokyo considers them part of its Hokkaido prefecture and “illegally occupied by Russia”. Russian Empress Catherine the Great claimed sovereignty over the Kuril islands in 1786 after her government declared they were discovered by “Russian explorers” and therefore “undoubtedly must belong to Russia”. In the first treaty between tsarist Russia and Japan in 1855, the frontier between the two countries was drawn just north of the four islands closest to Japan. Twenty years later in 1875, a new treaty handed Tokyo the entire chain, in exchange for Russia gaining full control of the island of Sakhalin. Japan seized back control of the southern half of Sakhalin after its crushing defeat of Moscow in the 1905 Russo-Japanese War. The USSR only entered into war with Japan on August 9, 1945, just after the United States had dropped the atomic bomb on Hiroshima. The Soviet troops completed the takeover of the islands after Japan’s general surrendered later that month. Russia argues that then-US President Franklin Roosevelt promised Soviet leader Joseph Stalin he could take back the Kurils in exchange for joining the war against Japan when they met at the Yalta conference in February 1945 at which the Allied leaders divided up the post-war world. The Soviet capture of the islands has since prevented Moscow and Tokyo from signing a formal peace treaty to end the war, despite repeated attempts over the past 70 years to reach an agreement. In 1956, Soviet leader Nikita Khrushchev first offered to give Japan the two smallest islands, Shikotan and Habomai, in exchange for signing a peace treaty but dropped the idea after Tokyo struck a military alliance with Washington. 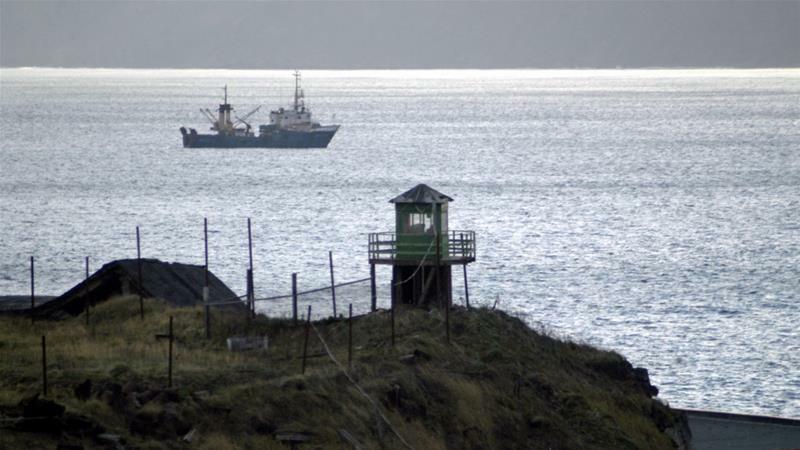 Strategically, control of the islands ensures Russia has year-round access to the Pacific Ocean for its Pacific Fleet of warships and submarines based in Vladivostok, as the strait between Kunashir and Iturup does not freeze over in winter. Russia has military bases on the archipelago and has deployed missile systems on the islands. The islands’ current population is around 20,000 people. After numerous meetings over the past few years between Japanese Prime Minister Shinzo Abe and Russian President Vladimir Putin, they have launched various economic projects on the islands in areas such as the farming of fish and shellfish, wind-generated energy, and tourism, though Moscow says investment is still meagre. Since 2017, the two countries have also agreed on charter flights for Japanese former inhabitants to visit family graves there. The islands are rich in hot springs and minerals and rare metals such as rhenium, which is used in the production of supersonic aircraft. Why does a Brit care about Nicholas II and the Romanovs? CAN LAVROV’S VISIT TO TOKYO BECOME PRELUDE TO PEACE TREATY WITH JAPAN? 100 years ago, Russia’s last #Czar abdicated. Will Putin be named Czar? Why Did Japan Treat Jews Differently During World War II? Waiting for Results of the Ekatarinburg Exhumations? The Perils of Confidence: Russian navy sailed for six months to face the Japanese. The battle lasted half an hour.